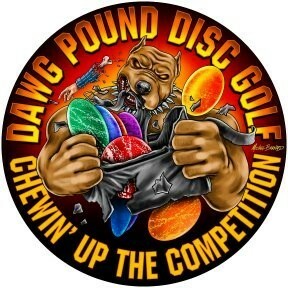 Home › Tournaments › Michigan › 2019 Dawg Pound Disc Golf Bag Tag Season Opener!!! 2019 Dawg Pound Disc Golf Bag Tag Season Opener!!! Welcome to the 2019 Dawg Pound Disc Golf Bag Tag Opener!!! If nobody hits an ace pool will roll over into next weeks league night. Winner will receive a championship plaque!! + 3 picks from the mystery boxes. 2nd place will receive 2 picks from the mystery boxes..
3rd place will receive 1 pick from the mystery boxes. There will be a total of 9 to choose from. Bag Tags on the Line!! Players Pack Will consist of 1 club stamped disc and a club stamped microfiber towel and a bag tag set for those who do not have them. ALSO THE $25 WILL ALSO COVER THE BAG TAG LEAGUE SEASONS ENTRY FEE!!! CTP'S included in entry fee!!! Holes 3, 5 and 7, winners will each win a Ctp supercolor disc from Discraft. Bonus FULL FOIL CTP Hole #2, donated by Big Smoke's Disc Dyes & More located on facebook. Bonus Mystery Donation Hole #6, donated by Chris Nakoneczny of Imperial Customs Construction! Bonus Mystery Donation Hole #9, donated by Shane Jeffers of Wicked Decals located on facebook! Ace Pool entry cost $5. Indian Run entry cost $5. Full foil Throw Off entry cost $3. Those that have challenge tags make sure you bring them!! Dawg Pound Disc Golf is responsible for all refunds/cancelations. - 10:00am Player check in and registration. - 12:00pm Tee off and play round. - 1:00pm Ace pool throw off, full foil throw off and Indian Run. - 1:30pm Prize give away!